Iceland’s Economy now growing faster than the U.S. and EU after arresting corrupt bankers. That pat on the back to our "glorious leader Enda" in Time Magazine fails to come to terms BIG TIME with the reality on the ground here in Ireland. More than 400.000 thousand people on the live register. Thousands of people migrating to Australia and Canada and many other places each month. Cuts to the weakest groups in our society, people with special needs, carers, basically people without voice in our society because of their small numbers. Cuts on salaries and pay freezes. Increases in direct and indirect taxes plus introduction of HOUSEHOLD TAX and WATER Charges coming up soon. Demolition of the Health system. Increase in alcoholism, drugs intake and homelessness. Soup kitchens and charities are under pressure trying to cope with the vast amount of the new homeless and the poor. 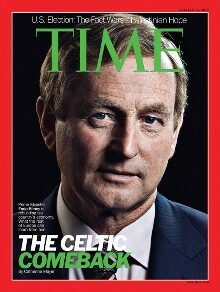 I suppose now its pretty obvious why Enda is at the cover of TIME magazine! Yes. It's because the Elite who have wanted to do all these things for ages want to reward Enda for selling out his own people so very efficiently into serfdom. "Finally, I would like to remind you that -- as I tried to stress to you and your colleagues this morning -- I am very firmly convinced that my particular case represents just a very, very tiny proportion of the overall 'government corruption, crime, cover-ups, and impunity' phenomenon which I believe -- as a direct result of my own completely independent, lengthy, and ongoing investigations (since mid 1998) into such matters -- continues to run completely wild, and to be more or less totally and dangerously out of control in many important respects at the present time: from the viewpoint of humanity as a whole." 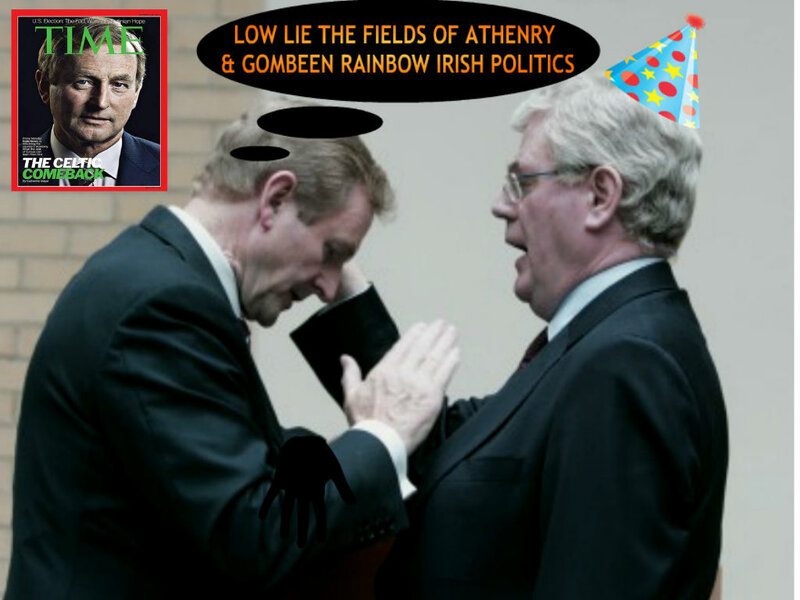 "Government corruption, crime, cover-ups, and impunity, Republic of Ireland ..."
with the link below, puts Kenny's praises in perspective.